Being an American in Australia on my favorite foodie holiday of the year proved to be less difficult than I thought it would be. 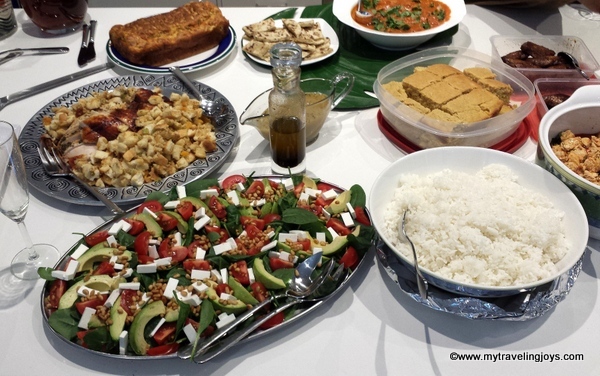 Luckily, I’ve met a few other American expats and one of them decided to host a Thanksgiving lunch at her house in Melbourne. 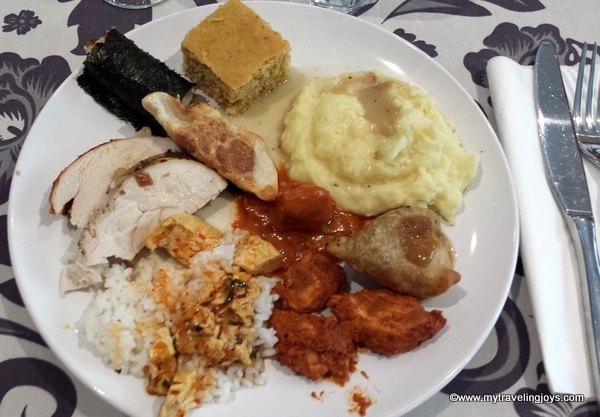 Our international Thanksgiving meal included the traditional turkey, stuffing, mashed potatoes and gravy as well as Asian dumplings, chicken wings, tofu with rice, Indian curries and samosas and a couple French desserts. 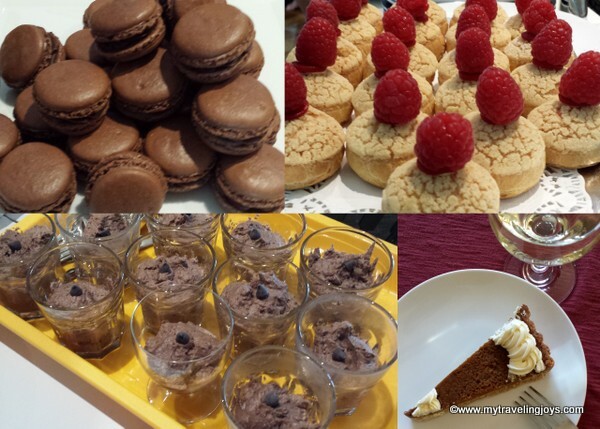 It certainly was delicious! 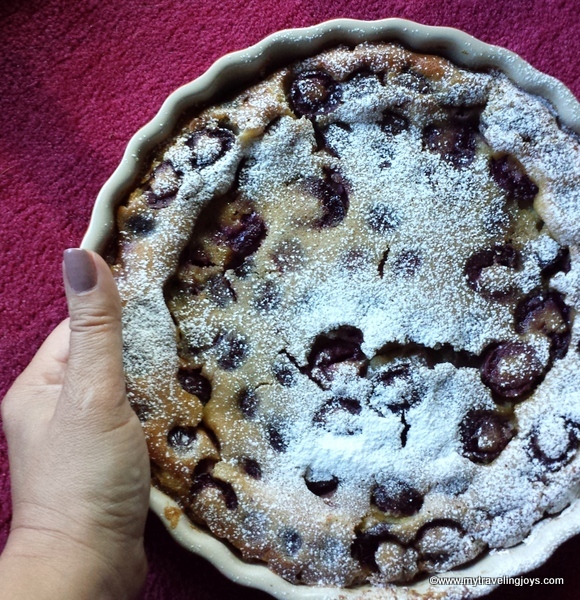 I made two desserts – a French cherry clafoutis because cherries are in season now and a pumpkin tart using my gluten-free crust recipe. I forgot to take a picture of my whole pumpkin tart so you’ll only see a slice of it with a glass of wine that I had saved for my husband. Though our move to Australia has probably been our most difficult one, I was happy to be included among such a warm and friendly circle of other expats. For many, this was their first time experiencing Thanksgiving, a holiday I cherish because it’s not based on religion but on being thankful for what you have and your loved ones. I’m thankful we are able to travel and see so much more of the world, but there are times I wonder what a “normal” life would be like again…if that’s possible. After lunch, I literally took a nap for an hour before my husband came home so we could go out for dinner. 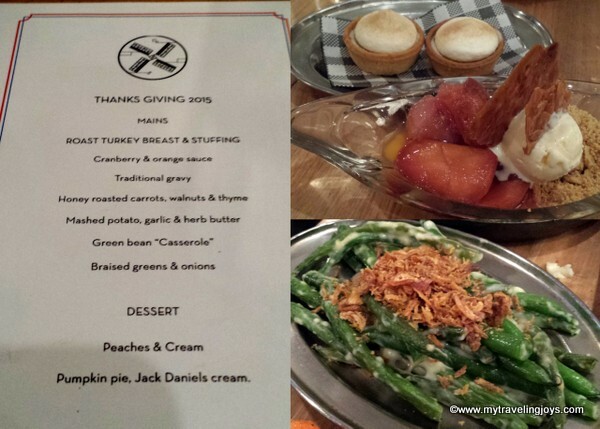 A newish restaurant, Nieuw Amsterdam, an American-style bistro located in the CBD, served up a delicious spread of all the traditional Thanksgiving Day components. Our server was even from the NYC-area. The only thing missing was American football and, of course, our family and friends. 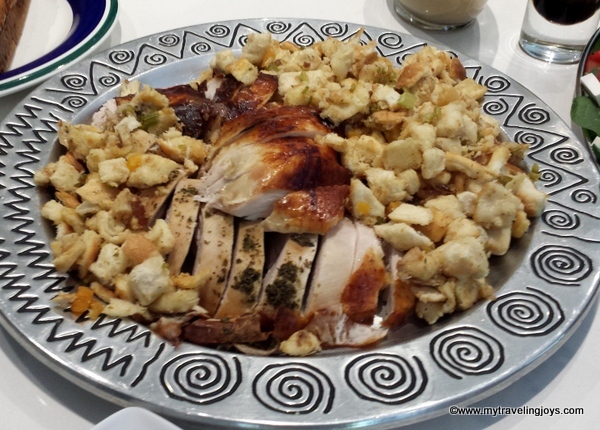 I don't know how I managed to eat a second Thanksgiving Day meal, but I did! 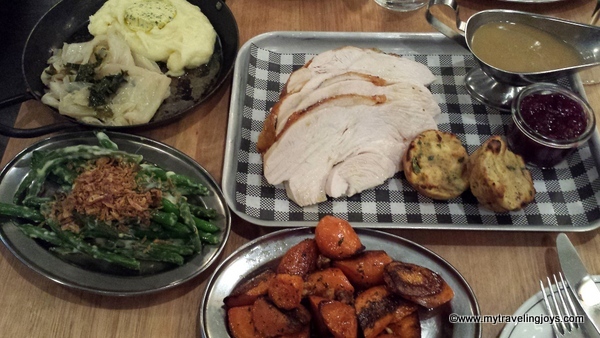 We’ll definitely be giving this delightful restaurant another go during the non-holidays! 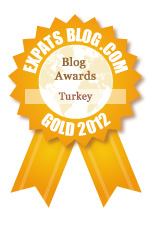 Happy Thanksgiving Day to my dear US readers and any other expats who might be celebrating abroad like we are! The Vacations time when you are with family or friends everyone needs personnel space and good amenities. And these ideas are perfect if you are affordable and needs good valuable time with your family.